Lack of energy seems to be a common complaint among many people who are overworked, stressed, or suffering from health problems. Unfortunately, I fall into at least two of these categories. 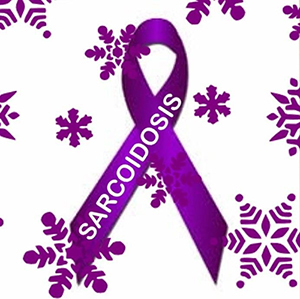 In 2012, I was diagnosed with an autoimmune disease known as Sarcoidosis. It is a disease which can attack almost any organ of the body, but is most common in the lungs and lymph nodes. More specifically, it causes clusters of inflamed cells, known as granulomas, in the organ’s tissue. As the disease progresses, it can cause permanent damage of the organ. The disease can go into remission, but sometimes the symptoms can come and go for a lifetime, and even cause death in the advanced stages of the disease. I have battled active symptoms in one eye and my lungs since 2007. Because of this, I have taken all kinds of steroid medications, eye drops, and immune suppressant. Fortunately, my disease is somewhat under control now, as long as I am on the medication, but it has left me with major fatigue on many days. I usually start off the day with all kinds of energy, and then by afternoon I am exhausted. Also, if I do anything out of the ordinary, like a day of shopping, or running errands, then the next day I pay for it – I am wiped out. Just doing normal household chores has become a challenge. If I sweep and mop my floors, or vacuüm, then I usually have to go lie down and rest. Having a diagnosis of a critical illness that can even eventually cause death is heart breaking, to say the least. Once I got over the initial shock, I was determined to not let it change my life. 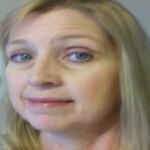 I thought I would just have to pray, take my medicines and make my doctor appointments, and life would go on as normal. You might say I was in denial. I kept thinking they had misdiagnosed me. I still have days where I’m in denial; after all, I am supposed to be super woman. I am the caretaker and used to wearing many hats and multi-tasking. I was the type of woman who could take care of a family, go to college, and hold down a job. This disease was not going to get to me. I would have a set back and then life would return to normal, right? Wrong! Each time I see my pulmonologist I complain about the fatigue. She sort of looks at me with a pitiful look and says, “I’m sorry, but unfortunately that is part of this disease.” I guess I keep complaining, hoping one day I’ll get a different answer. She tells me the normal things like to make sure I get plenty of rest at night and try to resist napping during the day when I can, so it doesn’t disturb my sleep at night. However, I find when I need a nap I have no choice about it. I can’t function until I go get a little rest and get re-energized. Now that my pity party is out of the way, and I am having a day where I’m not in denial, let’s talk about what I am doing to increase my energy levels. Obviously, I have to try to live my best life, no matter what this disease wants to steal from me. After all, there are people who have far worse problems than I do, and they go on living and enjoying life. You must get plenty of sleep at night. My doctor is so right about this one. I feel I do best with 7-8 hours. Any more than that and I’m too groggy in the mornings. Any less than that and it takes me too long to get going in the mornings. Try to strive for at least 30 minutes of exercise 3-5 days a week. Admittedly, I’ve been way off on my exercise routine because of the holidays and hectic life, but I am trying to get back on track. I know it helps my energy level when I do exercise. It also has many other benefits as I pointed out in my article about The Benefits of Exercise. Do not skip breakfast. Eat something that has a variety of nutrients such as protein, whole grains, and vitamins. Avoid eating foods that have no nutritional value. When you do this, you are just temporarily filling your empty stomach, but not really fueling your body for the day. Any time you get the chance to add more nutrition to a meal, do this. For example, rather than just having a bowl of oatmeal and a glass of store-bought orange juice with preservatives and added sugar, opt for the oatmeal with blueberries or strawberries and a glass of low-fat or almond milk, instead. This way you avoid the sugary juice which is setting you up to crash later, but instead you are adding more protein and antioxidants. Another thing you could do is have Greek yogurt with the oatmeal and drink water. Not all store-bought juices are bad, but make sure they are 100% juice with no added sugar; and not “juice cocktail” or “juice blends.” Simply Orange is a good brand that is pure orange juice. Limit or cut out foods and drinks which are bad for you, such as soft drinks and donuts. They give you no nutritional value and cause your body to have to work harder to eliminate the extra toxins, depleting your energy reserves. Also, the extra caffeine or sugar will surely cause a crash later. Multivitamin. I take a good multivitamin every day to supplement the nutrition I am getting from foods. I know there are varying opinions on whether you should or should not supplement your nutrition with pills; and if so, which ones to take. I recommend you talk to your doctor before starting any vitamin regimen. Read labels. The more natural or whole foods you consume, the less preservatives and additives you’ll be consuming. In the case of processed foods, usually the longer the list of ingredients, the more unhealthy the food is for you. Again, when your body has to process these chemicals, it will deplete your energy, and can lead to other diseases such as cancer. Choose natural high-energy snacks or drinks, and not chemically altered energy or sugary drinks and protein bars – again leading to a crash later. Choosing yogurt or a piece of fruit is better than a chocolate protein bar that you have no idea what is in it. I’m not saying they are all bad – just read the labels. Kiwi – Two a day only have 100 calories, yet offer hours of energy. Whole Grains – They are digested slower, keeping your blood sugar levels more stable, to avoid the energy slump. Bananas – They contain fiber to keep you full and B vitamins to boost energy. Almonds – They contain magnesium which helps you convert sugar into energy, plus are a good source of protein. Beans – They are a great source of energy-boosting complex carbohydrates. Stevia – Choose a zero calorie natural sweetener such as stevia, over artificial sweeteners or refined sugar. You not only save calories, but you avoid the possible side effects of artificial sweeteners and refined sugar. Antioxidants – Any food rich in antioxidants such as those found in berries will help boost your immune system, so that you can ward off any potential sickness. Oranges – A superfruit which contains thiamine, which supports the body’s immune system and is necessary to convert carbohydrates into energy. Blueberries – Another superfruit, which is a great fruit to add to your cereal, oatmeal, or smoothies. They contain manganese, which supports metabolism, helping your body to convert food into energy more efficiently. 11. Drink the recommended amount of water each day. If you don’t have enough water, you will become dehydrated. Dehydration causes fatigue. In conclusion, there are many more foods and ways to increase energy, but I think this is a good list to get you started. Please share any ideas you might have to also help increase energy. If you are battling a chronic illness, remember that we are not our disease, and we can make changes to improve our quality of life. We must not give up the fight! Great article! Gave me some great tips! Your blog appears to be having some compatibilty issues in my internet explorer browser. The content seems to be running off the page pretty bad. If you want you can contact me at: carissaflinchum@yahoo.de and I’ll shoot you over a screen grab of the problem. no but he said he will buy a I pod. Are you doing anything for the Chsritmas play if you are please say what you are ok. Lots of love Louise I will miss you BFF XXXDad says: I didnâ€™t say anything of the sort! Lymphoma further added to the possibilities list.